Tired of being the host and the bartender at your party? This is the perfect solution…a festive drink your guests can serve themselves. When’s the last time you brought out the punch bowl? They are hip now and back in style….very retro and not to mention look beautiful on a table. If you don’t have one, get yourself over to Goodwill…they have shelves and shelves of vintage ones they are dying for you to take home. This drink is a very fun way to start of your party. This punch along with some bottles of wine will keep you concentrating on the meal while your guests help themselves to some cheer! 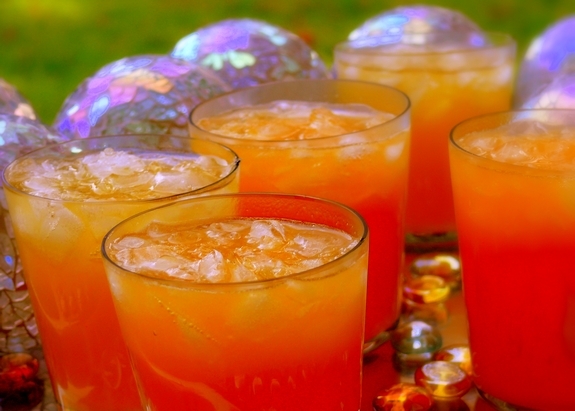 This drink will give your party a punch! Chill all ingredients before combining juices and sparkling wine in a large punch bowl. You can easily double or triple this recipe. Garnish with fruit of your choice if desired. « A KitchenAid Mixer Giveaway! Ooh! I love fruity stuff in sparkling wine: bellinis, kir royale, pom-proseco (my personal party combo). Bring it on. I must tell you that I’ve been serving punch at my fetes for the last couple of years. Not only can guests help themselves, but having a signature drink/punch at a party is a LOT less expensive than hosting an open bar. The economy took a turn, and I turned to my punch bowl and have never looked back. this looks delicious and so bright and beautiful ! I love guava, great addition. It is SO nice to have something like this when hosting a party! Oh Cathy, that looks great. 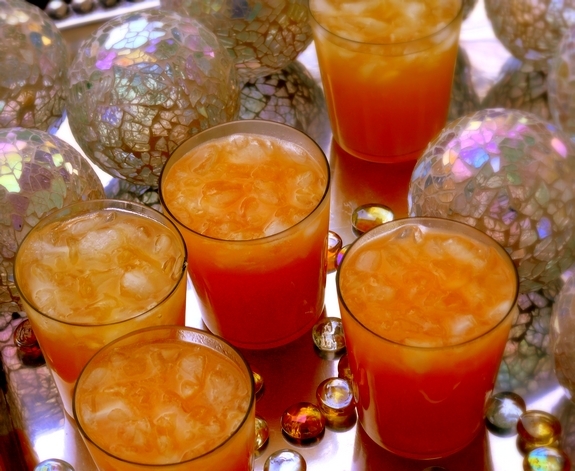 I love punch-I actually look forward to it at showers and parties! This looks so good (and BEAUTIFUL!) – would love a glass right now! love it! i think this would work nicely as a brunch beverage, too.